has been successful in its bid to purchase Chiltern Railways ‘Bubble Car’ No. 121020 (55020), which was put up for sale after being retired from main line service in May. Its final run on the main line took place on October 13 when, together with classmate No. 121034 (55034), it worked the 5T01/08.08 Aylesbury-Tyseley, this being a positioning move to enable it to be transferred by road to Bodmin six days later. The B&W plans to put the newly acquired unit into service in 2018. A ‘Bubble Car’ is seen as being highly appropriate in Cornwall, as they were a familiar sight on various branch lines for more than 30 years. The last Class 121 to see regular use in Cornwall was No. P126 (55026), which was based at Laira until 1992. 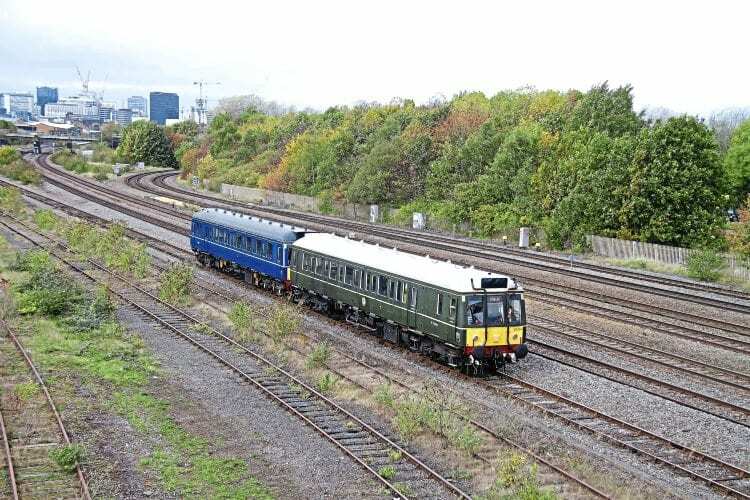 However, in later years (until 1994), Regional Railways used five Class 122 cars on Cornish branches, one of which is now based at the South Devon Railway.